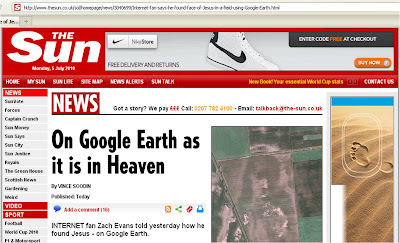 Jesus in Google Earth - today's news was also the news in April, in the same paper! 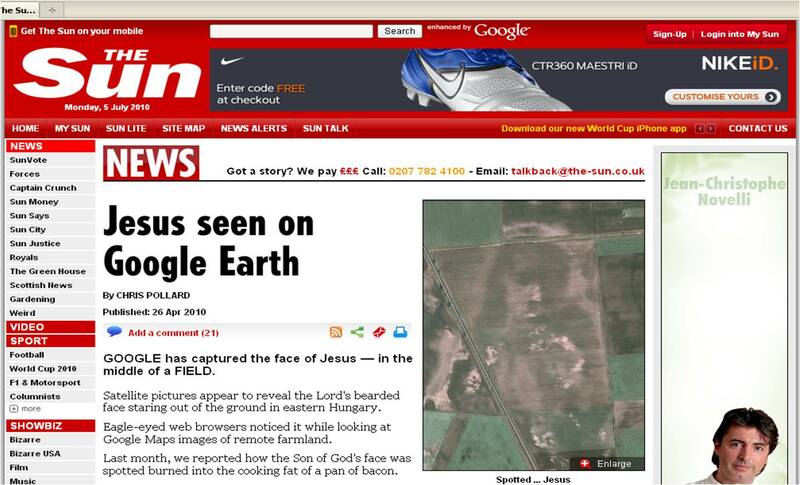 However, back in April the Sun ran effectively the same Jesus Google Earth story after blogs had started reporting that Jesus had been found (in the same field) on Google Earth in Hungary. 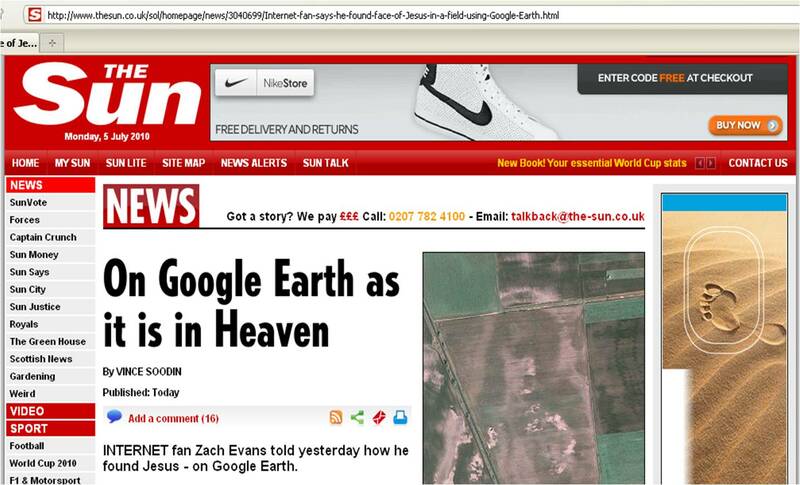 The Daily Mail and the Daily Telegraph websites are amongst a number of publications who have (re-)published the Jesus / Google Earth story since it appeared in the Sun today. 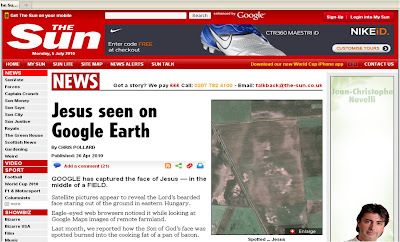 Very strange that the Jesus in Google Earth story from April effectively becomes news again today (in the same paper)! Is this just a bizarre coincidence or is Zach Evans better at Searching the internet than the UK's national newspaper writers? The second link is wrong. It is the same as the first link. Good spot - changed now! Thanks. It appears that Zach Evans searches the Internet better than some of the UK's national newspaper writers. His story is interesting for its intersection of religion and technology.